In a nail biting match last week, Australia overcame the devastation of a last-minute equaliser to produce a stunning performance and win the Asian Cup final for the first time. On a landmark night for Australian soccer, substitute James Troisi became the toast of the nation, slamming home what proved to be the winner as the Socceroos outlasted South Korea in extra time to win 2-1 in front of 76,385 ecstatic fans at ANZ Stadium in Sydney. 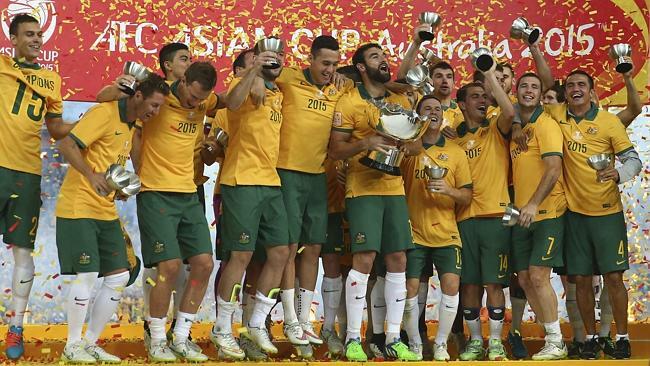 Want to create your own Socceroos experience? With the popularity of soccer growing each year in Australia, Grand Slam has remained at the cutting edge of soccer goal technology. Over the years, we have introduced several soccer goal innovations to the market. In 2000, we designed a one of a kind aluminium soccer goal extrusion, which has proven extremely popular all over Australia for safety and durability. The design of the die along with grade of material used determines the strength and flexibility of the product. Grand Slam designed their own post profile and die to provide a strong and lightweight system with grooves to easily accept soccer net clips. Grand Slam’s premium soccer goals have been used right across Australia in hundreds schools, councils, sports clubs and several high profile sports stadiums – including Blacktown Olympic Park and Allianz Stadium (formally Aussie Stadium). What type of soccer goal do I need? P-shaped goals are usually more light and portable than other types of goals. They are usually installed using ground sleeves so they can be easily removed and carried off the field and into storage. 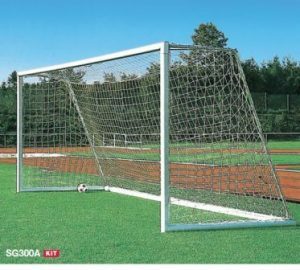 The aluminium senior P-shaped goals (SG200A) and junior P-shaped goals (SG200A-U12) are a great choice for these reasons. They both come with welded inner mitre joints for strength, but the three-walled oval profile aluminium means they are lightweight enough for easy transportation. 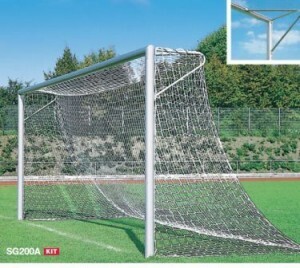 The senior P-shaped goal measures 7320mm wide x 2440mm high. The junior P-shaped goal is 500mm wide x 2000mm high.The ‘P’ refers to the P-shaped poles that support the net – which hangs down to the ground on an approximately 45-degree angle to the crossbar. The main advantage of the free-standing goals is that it is fully supported by the frame. This creates more space within the goal, preventing players from getting tangled. It also allows the net more support to protect from wind damage and provides a stronger bounce back for the soccer ball. The other huge advantage of the free-standing soccer goal is that it doesn’t need to be installed in ground sleeves (hence, the name – free standing!). If you are unable to install anything permanently on the field – these goals offer the perfect solution. 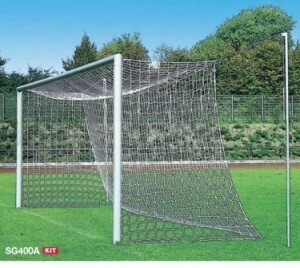 The senior free-standing goals (SG300A) and junior free-standing goals (SG300A-U12) provide this option. They consist of lightweight aluminium, allowing them to be moved around with ease. They are safely secured into place using lock down plates and anchor pegs to prevent any movement during play. The senior free-hanging goal (SG400A) comes with welded inner mitre joints, plastic net hooks, ground sockets, caps and net supports. It is available in aluminium or powder-coated finish. The net can be further neatened by using an SG400A back net support (SG400A-LBN). This piece attaches to the bottom of the goal and pushes out the net to provide more support at ground level.Free-hanging nets are typically used for professional football games. 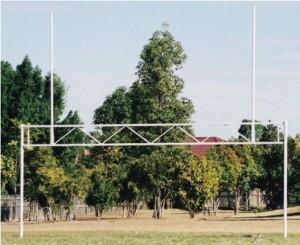 They are supported by two net support posts at the back. This creates a neat box shape while preserving the simple, lightweight structure. So what happens when you share your soccer field with rugby players? (Other than getting worn out turf!). The ideal solution is the combination soccer/rugby goals (RUG107). They are uniquely designed to suit both sports and eliminates the need to swap over the goals for different games. The combination soccer/rugby goals are very popular with schools, clubs and parks as they offer much more flexibility when trying to cater for multiple sports. What type of soccer net do I need? The quality of the net will impact on how long it will last. It needs to be of suitable quality to withstand regular beating from soccer balls, as well as last through wind, rain and sun damage. The type of material it is made from, the thickness of the net, and the size of the mesh will determine how durable your soccer net is. It is also important to remember that one size does not fit all! Make sure you get the right specifications before purchasing your soccer net to avoid receiving one that is either too big or too small for the goal. of the net will impact on how long it will last. It needs to be of suitable quality to withstand regular beating from soccer balls, as well as last through wind, rain and sun damage. 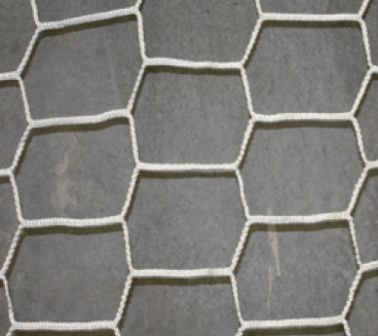 The type of material it is made from, the thickness of the net, and the size of the mesh will determine how durable your soccer net is. Soccer nets are usually made from polyethylene or nylon and come in different cord thickness and mesh sizes. The quality is determined by the cord thickness and mesh size. 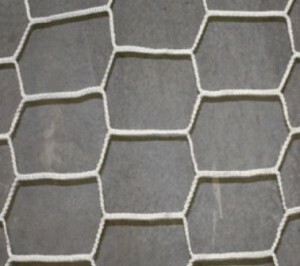 For senior players, it is preferable to purchase a net that has a thicker cord and smaller mesh. This will ensure that the quality is high enough to withstand more intense play. Why choose Grand Slam for your soccer equipment? Grand Slam Sports Equipment is Australia’s original sports equipment manufacturer with a proven track record and over 25 years’ experience. Grand Slam Sports Equipment is engineered for strength and reliability. The outdoor equipment is designed for even the most extreme conditions, and can be supplied for wind areas rating from W33 to W50. The indoor equipment is also designed and built to meet the most rigorous safety and quality standards. Wherever possible, they manufacture their products from long-lasting, highly durable galvanized steel, which is (where stated) powder-coated in high grade polyester to give years of maintenance-free use. These products can also be powder-coated or painted if desired to suit your needs. Grand Slam’s equipment can be installed by qualified personnel, but they recommend that their experienced fitters either oversee or install their equipment to ensure that the correct operation and safety standards are met. Their installation service is available across Australia and overseas. Want to know more about soccer equipment? See our full range of soccer equipment or read our Ultimate Guide to Soccer Equipment. If you have any further questions or feedback, don’t hesitate to give Grand Slam Sports Equipment a call on 1800 773 461 or email sales@grand-slam.com.au. PreviousPrevious post:Grand Slam Legends presented for 2015NextNext post:Are you ready for the start of the Winter Sports season? Are you ready for the start of the Winter Sports season?